Not “vegetarian dumplings”—which is a moniker that can be as specific as saying “not-dumpling food article”—but dumplings with shredded fresh vegetables inside. Growing up, vegetarian dumplings were usually an indiscernible hodgepodge of minced cabbage, firm tofu, and glass noodles. 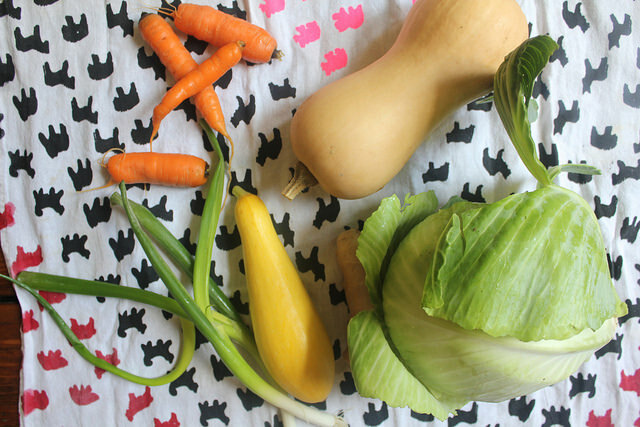 It just so happened that this week’s harvest (the last week of summer, as it were) had dealt me a motley crew of vegetables that created a sunny, yellow-orange hue. Carrots, butternut squash, cabbage, summer squash and scallions from my CSA. I wanted to see how well you could incorporate vegetables that are not necessarily associated with dumpling-making (or Chinese food, either) to make a satisfying filling for some crispy potstickers, a crowd-favorite dumpling variety. And once you’ve toyed with the likes of Cheeseburger Dumplings and Broccoli Cheddar Dumplings, this seemed like a pretty safe and moderately conventional bet. Shredding with a box grater (squeeze liquids afterward). What happens at the New York Dumpling Fest is yet to be seen: it’ll take over the Sara D. Roosevelt Park this Saturday from noon to 5pm, and with dumplings from over 8 cultures representing, it’ll probably feature much more wild versions than these. There’s also a dumpling eating contest, which may or may not happen by default should you attend (and will most likely happen with you and your friends when you make a batch yourself). I’m looking forward to seeing the festival, and some of the musical performances like the local dragon dance team. Stuffing the shredded mess inside dumpling wrappers. 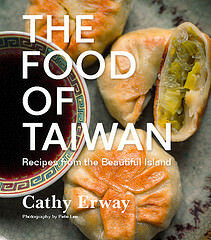 But if you’re not in town and just craving a new twist on a classic, these dumplings make a fun occasion on their own. I made them with a friend last weekend to freeze and save for when she has her hands full with a new baby soon arriving. With a few hands to help out, we made quick work of the folding (using store-bought wrappers as a time-saving crutch); and we got to eat a spare panful at the end. I was curious about how the butternut squash would turn out—these dumplings had a medley of shredded summer squash, carrots, scallions and cabbage along with that just-in-season fall vegetable. Adding a little sweetness, they cooked just enough to help bind the stuff inside the wrapper and give it a vibrant glow. 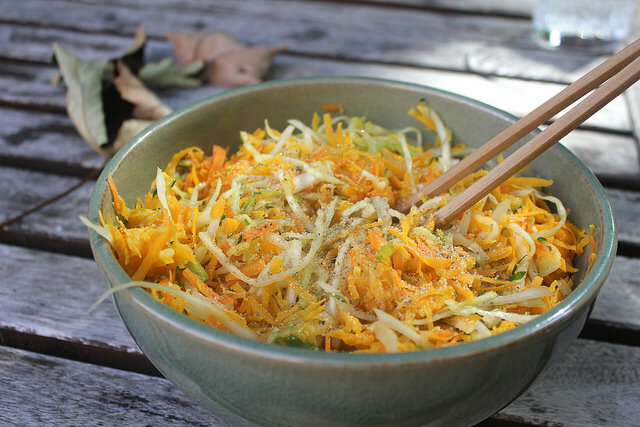 A late-summer/early-autumn salad of dumpling filling. 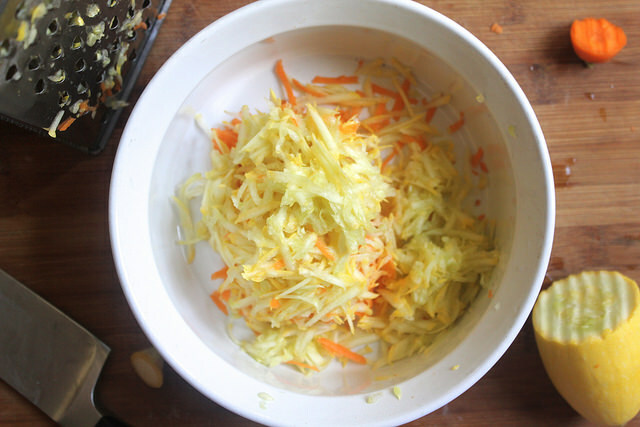 You’ll want to squeeze out most of your shredded vegetables very well, especially the summer squash, before mixing it all together. (Wateriness is the enemy of keeping dumpling skins sealed.) I seasoned the mixture very minimally, with only a bit of sesame oil, ginger, garlic, white pepper and salt. Give it your own take with a dash of curry powder, or chilies for some heat. Or use what’s fresh in season around you, maybe some thinly shredded bell pepper for instance. Whether eating for a cause or just the cause of eating, I can’t think of any occasion that isn’t fit for at least some kind of dumplings. Share it with friends and make an afternoon of it (hopefully outside, during this early-fall warmth), and freeze the fruits of your labor for a lazier occasion. 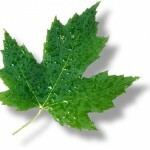 Set aside the grated vegetables individually and sprinkle well with salt. After 10-20 minutes, squeeze each out well, draining excess liquids. Combine all the vegetables in a bowl and toss well. Add the sesame oil, ginger, white pepper, and any additional salt to taste. 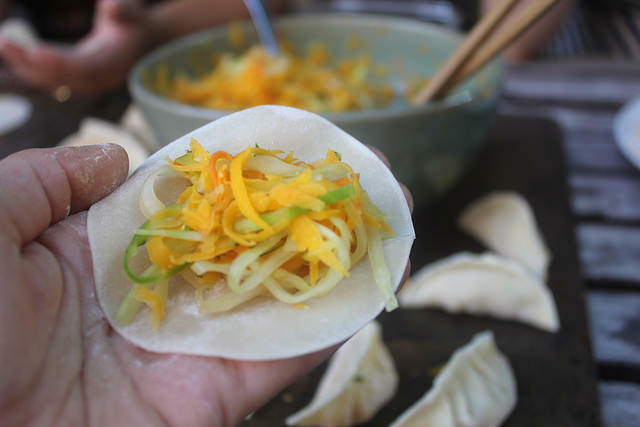 Placing a round dumpling skin flat on your hand, drop a tablespoon of filling into its center. Dip your finger into a small bowl of water and trace the edge of the wrapper. Fold the wrapper in half and make a pinch at the top; next, bring a piece of the edge about half an inch to the right of the pinch over to the pinch. (This will cause the wrapper to fold diagonally on the right hand side of the dumpling.) Bring a piece of the edge half an inch to the left over to the pinch next. Pinch the pieces you brought to the center shut and continue to seal the edges to the left and right until the dumpling is fully sealed. From an aerial view, it should be shaped like a crescent. Heat the oil in a large skillet that comes with a lid. Once the oil is hot, line the dumplings in a circle around the edge of the pan. Fill the center with as many dumplings as will fit – do not squash them against one another too much (you will probably need to cook in 2-3 batches, depending on the size of your pan). Let cook on high for about 2 minutes. Add enough water to the pan to cover about one quarter of the height of the dumplings (about 3 cups, again, depending on the size of the pan), reduce heat to medium, and cover. Let cook covered for about 4 minutes. Lift cover, and cook until all the water has evaporated. Remove the potstickers from the pan with a spatula (they will stick) and serve with soy sauce (or soy sauce mixed with vinegar) and/or chili sauce for dipping. Four brownie points: Think of it as a crispy, wrapped salad in bite-sized pieces. Thanks to those orangey ones (carrots, squash) you’ll get plenty of Vitamin A, and the cabbage adds more antioxidants and fiber. All the vegetables are lightly steamed inside the pockets, so no nutrients can get away. 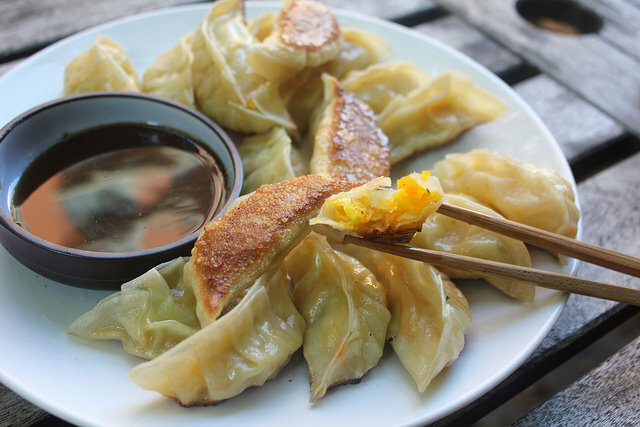 Seven maple leaves: These vegetarian, vegan dumplings are easy to make in any season, with green cabbage and carrots around all year, and you can use whatever bits and pieces of veggies are around the rest. Great post. I found your website perfect for my needs. Thank you for sharing with us. Dumplings are traditional meals in China especially in the Spring Festival, the general public in northern China will devour this kind of food to rejoice the Spring Festival. Dumplings may be wrapped in lots of shapes which includes oval mainly, Normally, ground red meat and chopped greens have been the filler wrapped with flour, the filler might be separate or combined which depends for your taste. Actually, dumplings are my preferred meals, and each person who will come to Shanghai China ought to contact me and I am thrilled to treat you dumplings.